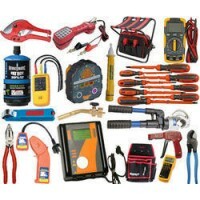 Industrial Tools- Campbell International Specialist Tapes. We offer a specialist tool sourcing service. If you cannot find the perfect tool for the job please Contact Us with your requirements/specification and one of our industry experts will be happy to source and quote. Bench Power Supply - Aim-TTi EX4210R1 Output 42V 10A 420W.Compact mixed-mode regulated power supplies offers output power from 175 → 420W.Features high-resolution four digit meters and switchable remote sense terminals.Mixed-mode regulated with linear final regulation.Constant voltage or consta.. Hydraulic Test KitApplication: Hydraulic systems.Users: Universal.Contents:1 stk. manometer 0-25 BAR.1 x manometer 0-400 BAR.2 x gauge hose connector.2 x gauge direct connector.1 x test coupling 1/4" BSP male.1 x test coupling M10 x 1 male.1 x reducing adaptor from 3/8" BSP.1 x reducing adaptor from..